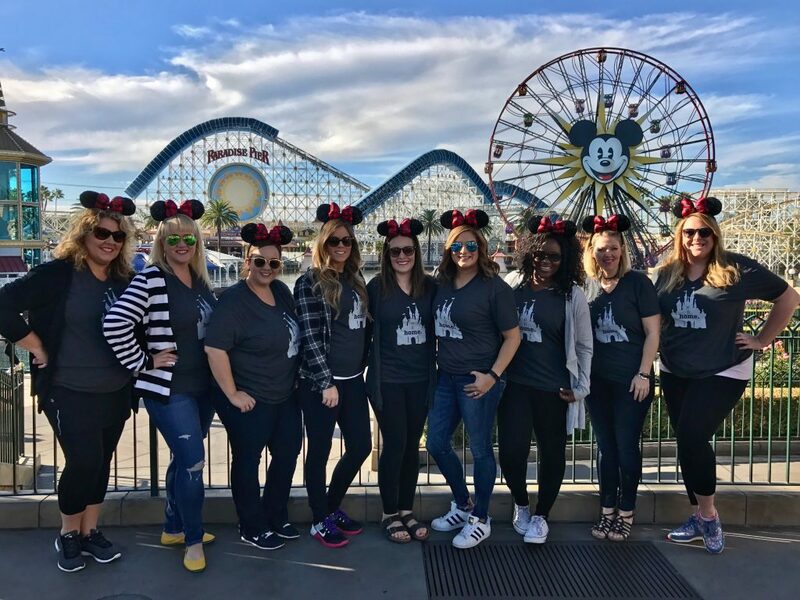 A few weeks ago I was so excited to be invited to an unbelievable girls trip to Disneyland by some of my blogging buddies! Melissa from Number 2 Pencil headed it all up,sent me a invite and I knew I wanted to be apart of it! ALL the Girls! 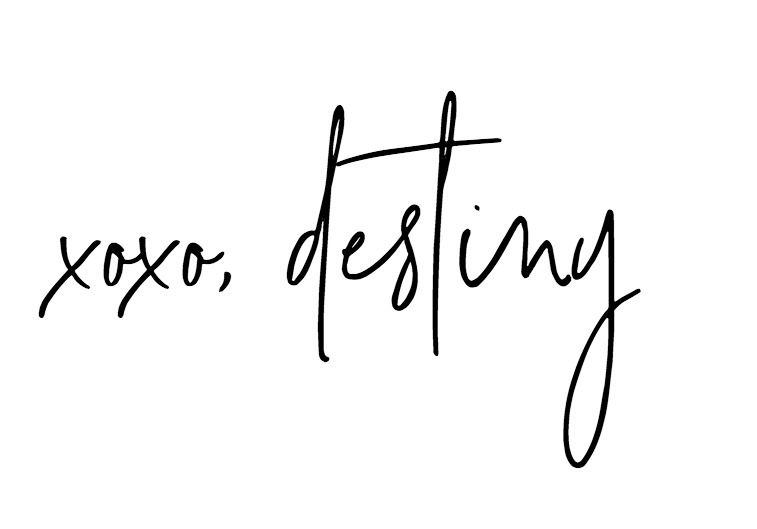 Nest of Posies, Number 2 Pencil, A Night Owl, Recipe Critic, White House Black Shutters, A Pumpkin and a Princess, ME, Clean and Sensible , Sweet C’s Designs! 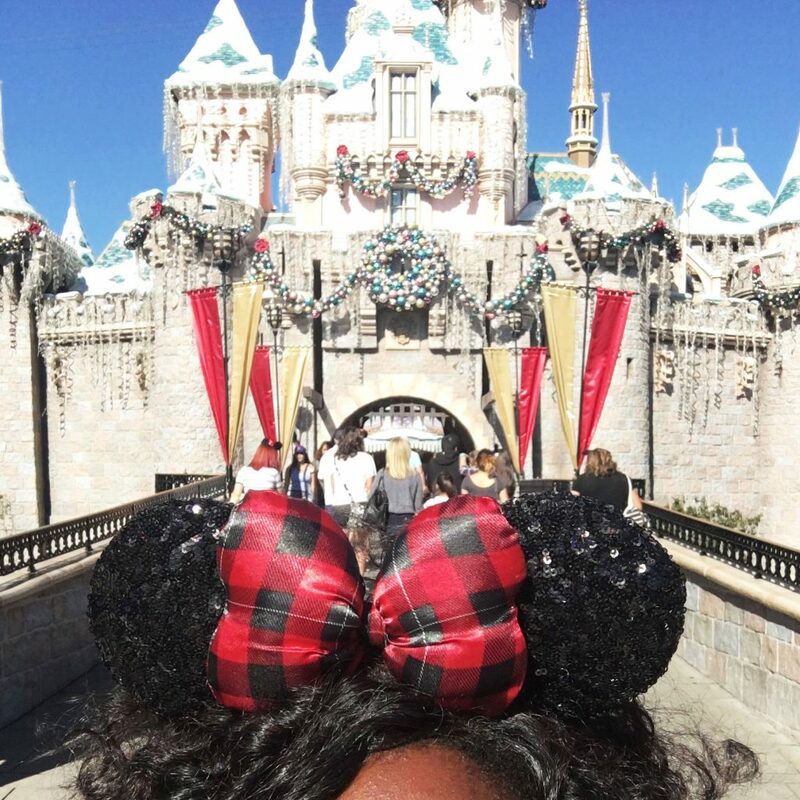 As the Disneyland festive celebration continues I wanted to share with you all a few things we did and tips to help your Girls trip if you’re planning one too during the holidays! 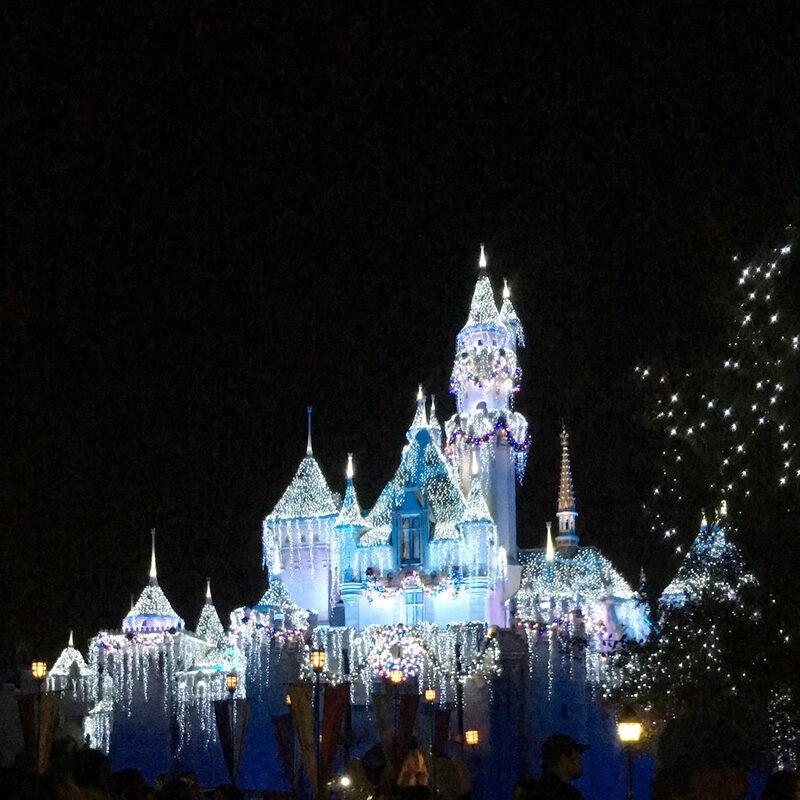 Let me just say Disneyland with kids is amazing! 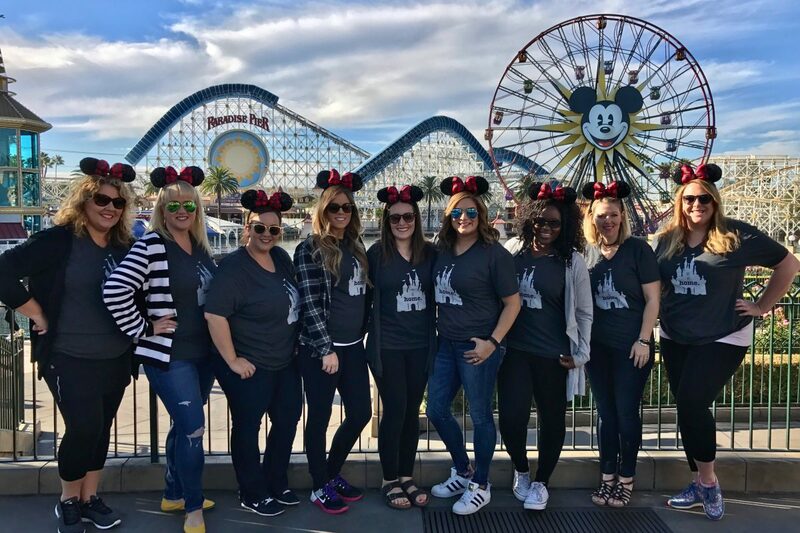 But Disneyland with your girls….unforgettable! I think it brings out the child in your for sure! We stayed for only two days but I recommend booking at least 3 days, that way you can take your time and plus by the 3rd day you are SO ready to be home! 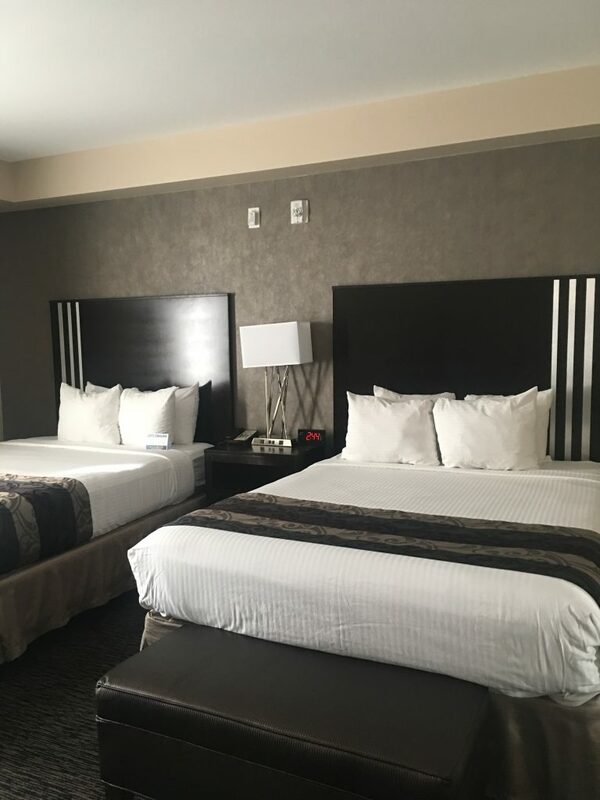 I took a short flight to LAX with my friend Kim from A Night Owl and took an Uber ride to our destination hotel, The Grand Legacy. I was so surprised to see that it was RIGHT across the street from Disneyland! Like a 5 minute walk. 4 minutes if you’re really concentrating…haha! 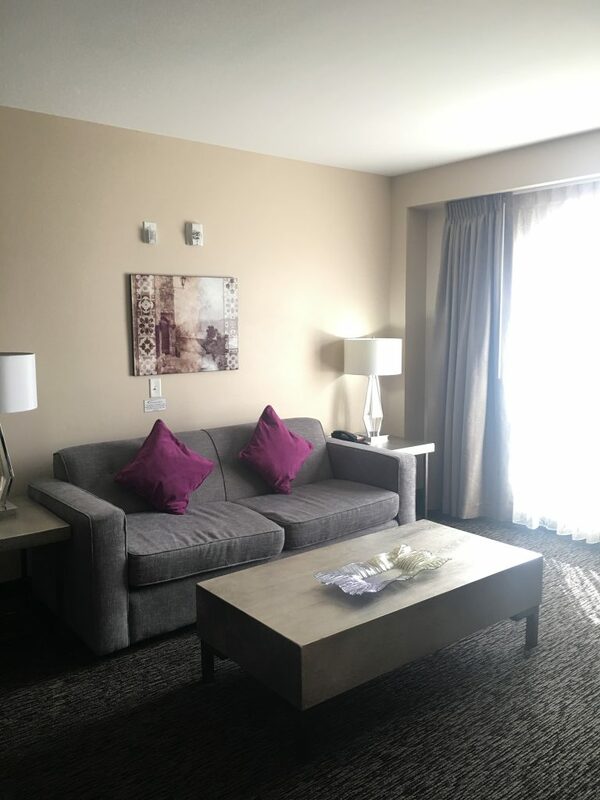 They have gorgeous suites for families and large parties like ours. You walk into a shared living room and then 2 full rooms on each side with 2 double beds and a bathroom. We freshened up a bit and headed to the park to get our hoppers that we booked through Get Away Today. Best Deal Ever! Over the next two days we hopped between both parks, Disneyland and California Adventure! Before we got started with our day we really wanted to find these cute ears with the Buffalo Check on them! They were impossible to find at first be we finally spotted them and each one of use rocked our ears for the rest of the trip! Matching ears is a must when doing a girls trip to Disneyland!! We tried a lot of yummy treats from both parks. I LOVE churros so I was all over that! But between all the girls, we shared some delicious treats! 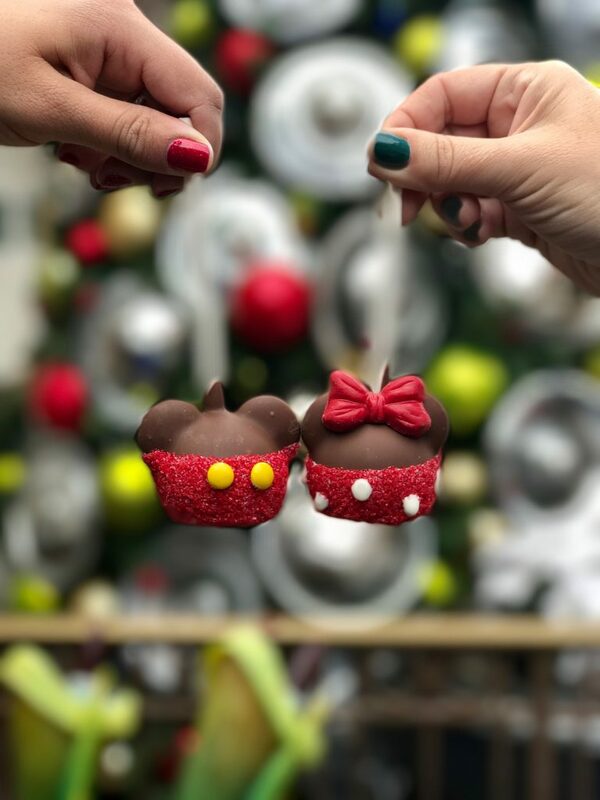 Read all about them at Kim’s blog….all about Disneyland Treats! Between amazing restaurants, drinks, snacks and the Festival of Holidays you and your girls WON’T be hungry I promise! My favorite restaurant while we were there was the Cove in California Adventure. The food friends was SO good! It does get pretty busy so we stood in line for about 30 minutes before it opened so we could get some good seats together! 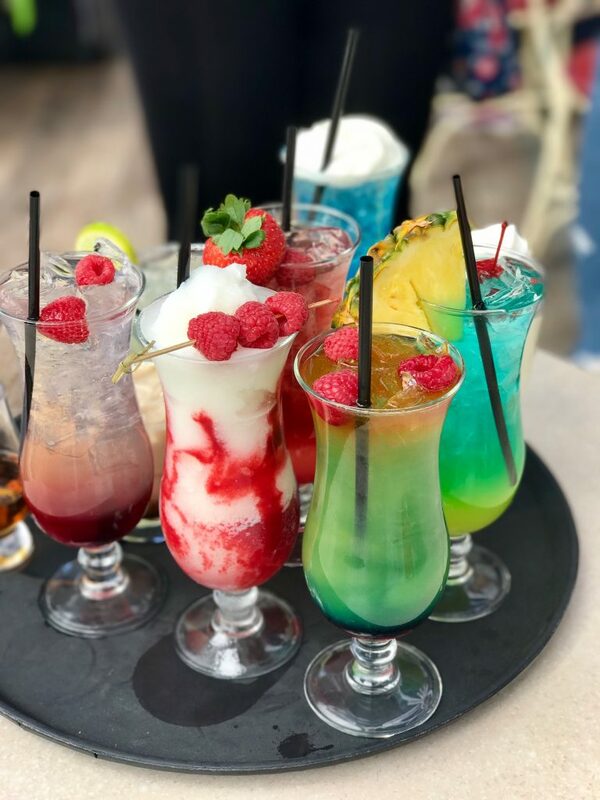 Gorgeous drinks, delicious food and a great view made for a great lunch!! I totally suggest this for you and your girlfriends if you decide to make the trip! 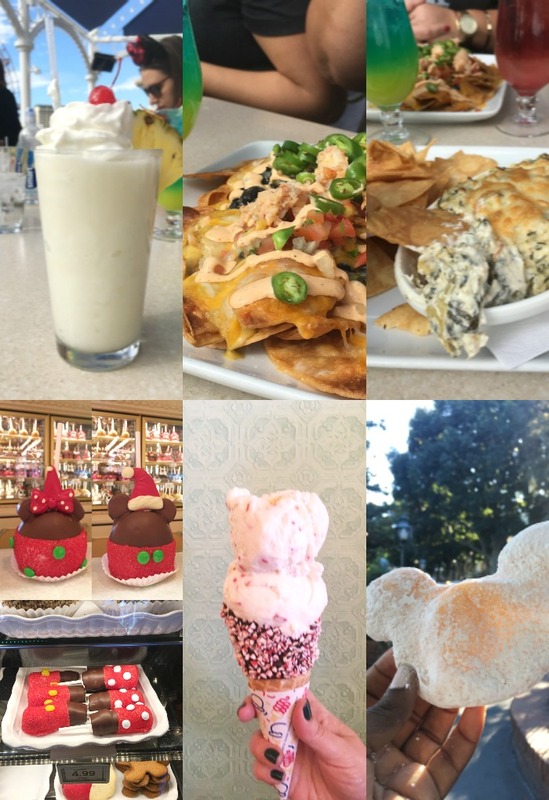 One of my favorite finds was the Carthay Circle Restaurant in California Adventure…..I knew it was there but I had no idea how nice it was! Plus if you go all the way upstairs you get sweet view of the center circle! 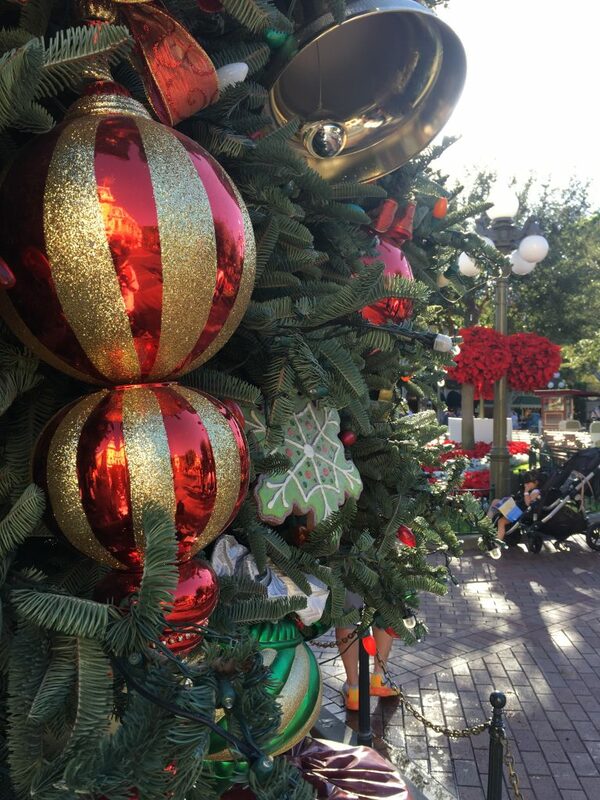 Disneyland was so kind to invite all of us up from some appetizers and a little preview of their Festival of Holidays. 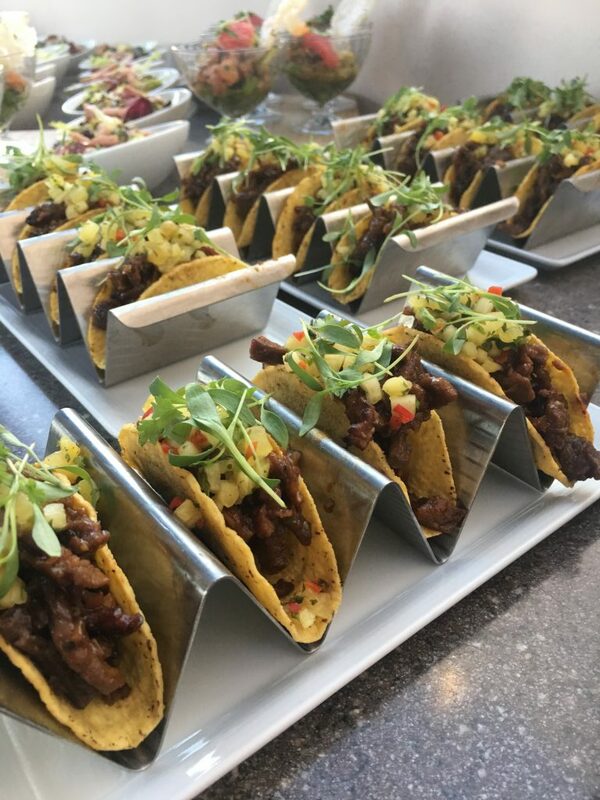 We sampled tacos, and decadent desserts! We also caught a couple of shows that were spectacular! 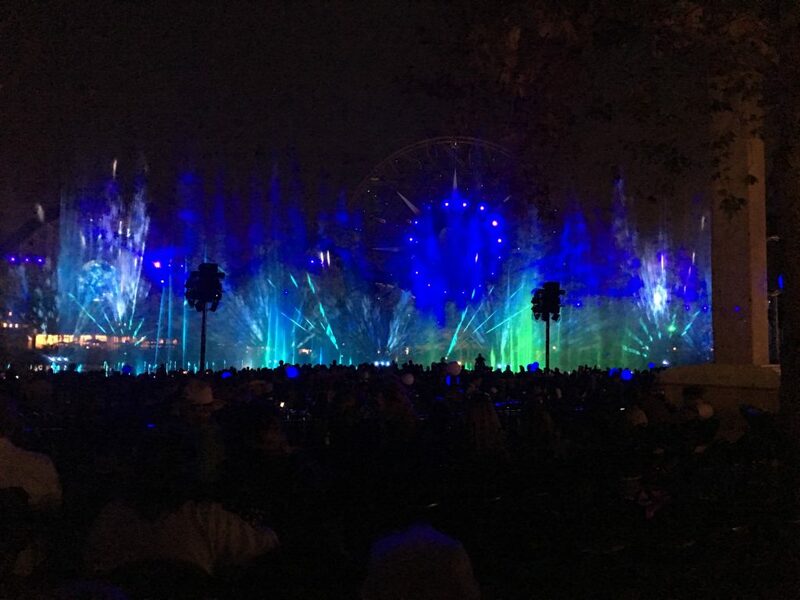 As a part of Disney’s festive celebrations we saw the Christmas Fantasy Parade and World of Color- Season of Light! 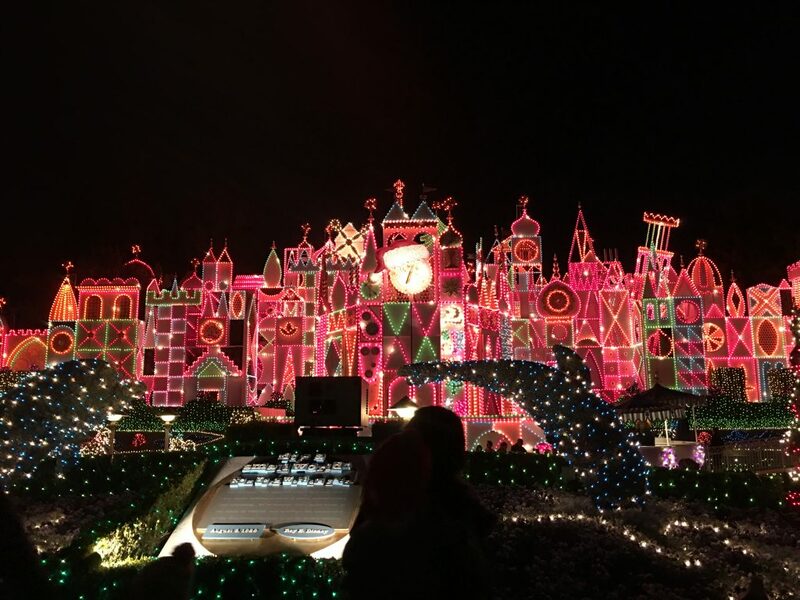 These are a must see if you’re visiting the park from Nov-Jan 8th! Yes! There is still time to book a trip!! We of course couldn’t do a trip without getting on some of the rides! 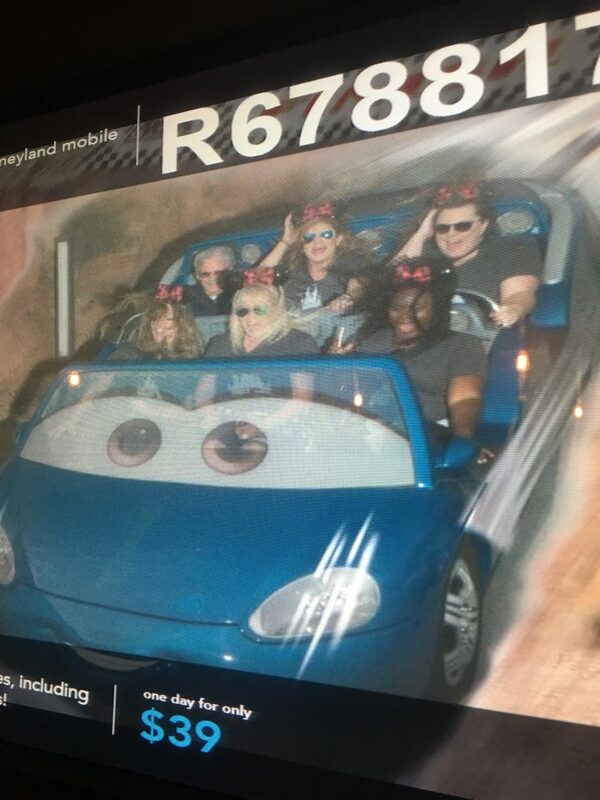 We did Thunder Mountain, Toy Story Mania, Tower of Terror, and one of my very favorites Cars! 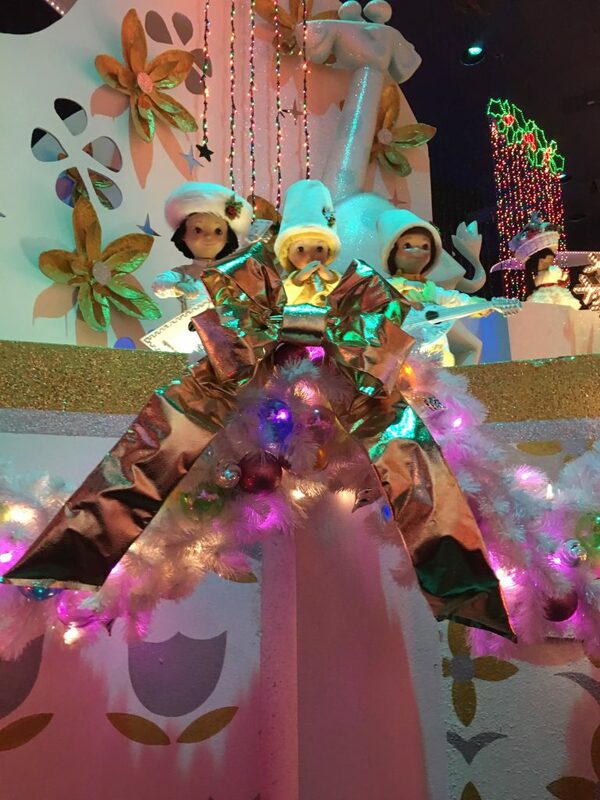 But we DID NOT miss classics ,like It’s a Small World! All dressed up for Christmas! Overall it was a great time. More than anything is was great to connect with all my blogging friends and really DO DISNEY! Thank you Get Away Today for hosting us girls and making us feel special!